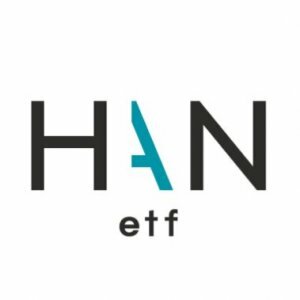 Jobs in ETFs (JE): You have recently left FTSE Russell and joined HANetf, Europe’s first “white label” UCITS ETF platform. Tell us about your move, the decision behind it and why did you choose HANetf? Simon Mott: I spent 7 very enjoyable years at FTSE Russell working with a tremendously talented group of people, learning voraciously and participating in the transformation of our ETF business. Being part of the world’s largest index provider and working with colleagues at London Stock Exchange alongside clients from ETF issuers in North America, Europe and Asia-Pacific enabled me to gain a unique perspective on the developments and trends in ETF markets around the world. Some of the trends I witnessed included the number of new entrants to the market, the range of new ideas clients were trying to launch as ETFs and the adoption of ETFs by model portfolio providers, ROBO advisors and wealth managers – I wanted to be more closely aligned with these developments. I have known Hector [McNeil, co-CEO of HANetf) for over 10 years, and have had huge respect for what he and Nik [Bienkowski, co-CEO of HANetf] have achieved. When I heard about the new offering I knew HANetf was going to have a significant role to play in the future of the European market and I loved the idea and wanted to be part of it. JE: What do you currently do in your new role and what do you see as the biggest challenges/opportunities? Simon: At HANetf I’m responsible for all marketing activity within the company. My initial priorities are to ensure that our new value proposition is clearly communicated to the world and that we have the best technological infrastructure to market fund products effectively in future. The challenge as a new company is that we are creating our marketing proposition from scratch, but I see this equally as an opportunity to avoid some of the pain that come with inherited legacy systems and really build an outstanding world-class digital marketing platform that can take us and our clients into the future. JE: In terms of future plans, what is the exciting thing we all should keep an eye out for (new hires, initiatives)? 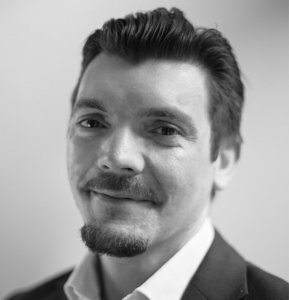 Simon: You will certainly see our staffing levels expanding as we bring on more senior figures from the European ETF business, adding to our already highly experienced team. I won’t say too much about our other plans, but rest assured we will be doing things differently. JE: What would you say the challenges and benefits of working at both “small” and “large” companies are? Simon: From a marketers’ perspective, larger companies tend to have higher brand recognition, more resources and larger infrastructure (I miss my TV studio at the LSE!) but can be less nimble and trend towards the conservative when it comes to decision-making and experimentation. Small companies tend to have less bureaucracy and require and ‘all hands to the pump” attitude which is great fun and really gives you a direct connection to the pulse of the business and massive scope to make a personal impact. JE: What advice would you give someone who is looking to move to a new role / company? Simon: You’ll hear a lot of the same advice about doing research on the company and culture, speaking to peers, using LinkedIn and so forth. I’ll try to give a different angle – give yourself some space to rest and reset. Go on vacation and take time to determine what you want from your next role and what you want your future to look like. When you have found your next position take time to prepare your mind for new challenges and ways of working and ensure you walk in one day one refreshed, energised, healthy and ready to embrace the future. JE: What key skills do you think are necessary to have in order to be employable and successful in the ETF industry? Simon: Almost everyone I know in the industry is hugely passionate about ETFs and the benefits they can bring to investors. This is the defining feature of our industry and the main criteria for success – love what you do and feel good about doing it. As one of the most dynamic places to work within asset management, ETFs lend themselves to people who bring open-mindedness and creativity to the office every day.